Brazilian striker Neymar has been ruled out of the remainder of the 2014 World Cup after suffering a fractured vertebrae during Brazil's quarter-final match against Colombia yesterday. 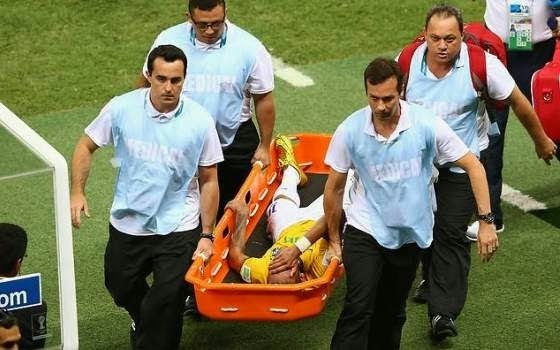 Neymar, who suffered the injury after colliding with another player, was carried off in tears on a stretcher towards the end of their 2-1 victory over Colombia. He will be unable to play for about a month, ruling him out of Tuesday's semi-final against Germany.